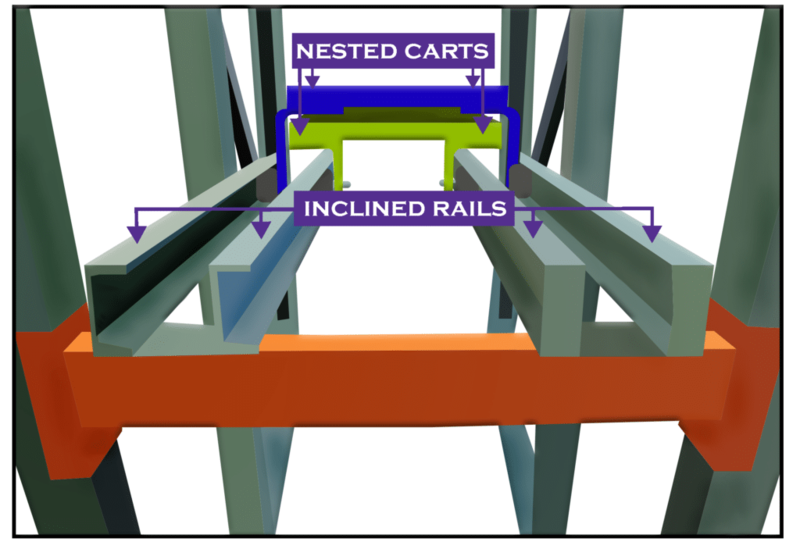 Learn how a push back racking system works and how it provides high density storage by using inclined rails and nested carts to store pallets. 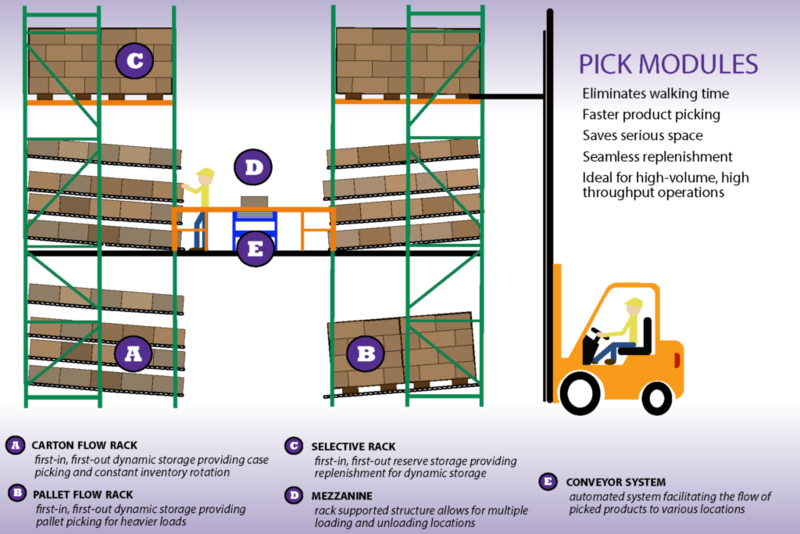 This pick module illustrates how carton flow, pallet flow and selective rack are integrated together with a mezzanine and conveyor system to save floor space, increase picking times and provide a seamless order fulfillment process. What does a material handling integrator do? A material handling integrator works collaboratively with each client to design, install and complete a system to optimize their operation. This article explains the key difference between an integrator and a distributor and what services a material handling integrator provides to be seen as a partner. 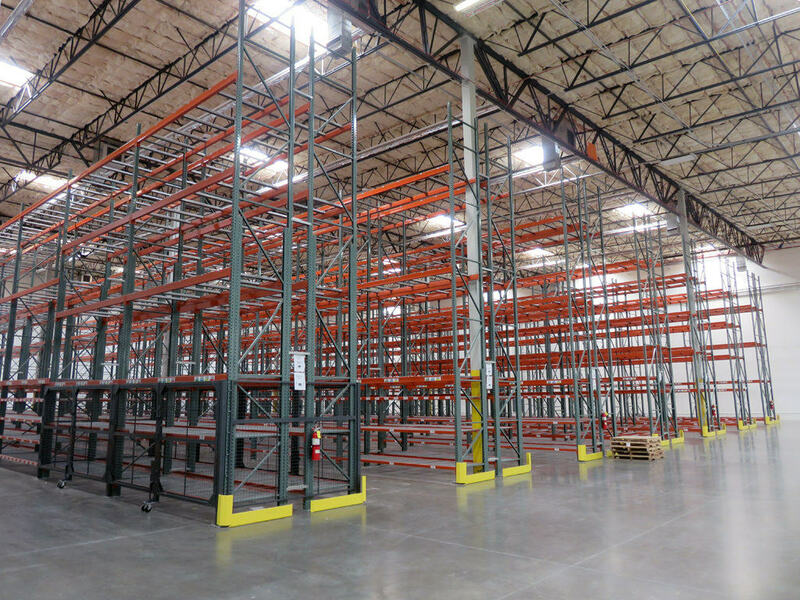 The racking system in your warehouse facility serves as the entire framework for your operation. 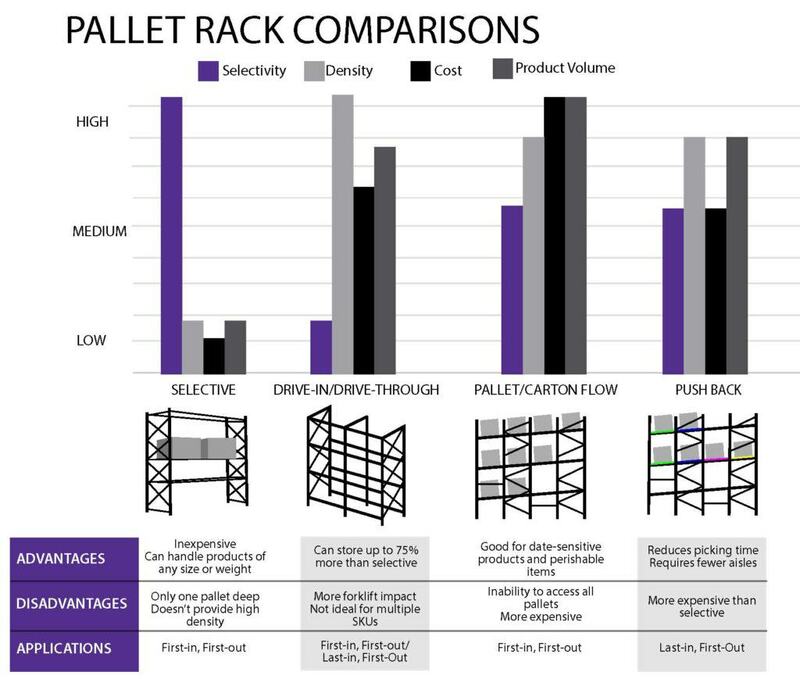 This comparison chart shows the advantages to each racking system and how they compare to each other in terms of density, selectivity, product volume and cost. 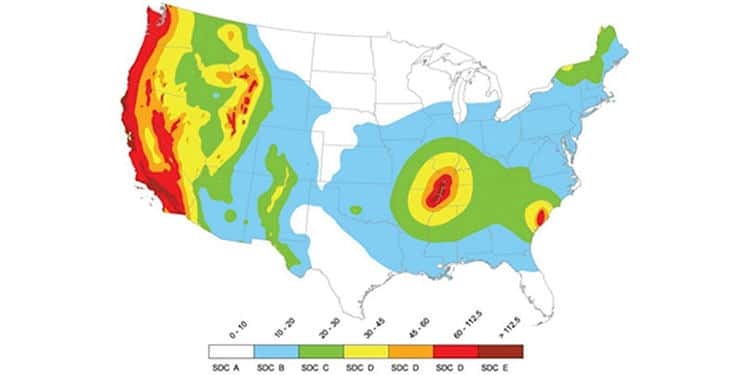 If you are planning to build a new material handling system or reconfigure your existing one, knowing the building codes in your location, if you are in a higher risk seismic zone and what that means for your material handling system is very important. Are you looking to implement a storage system that can slash labor and equipment costs up to 75%? 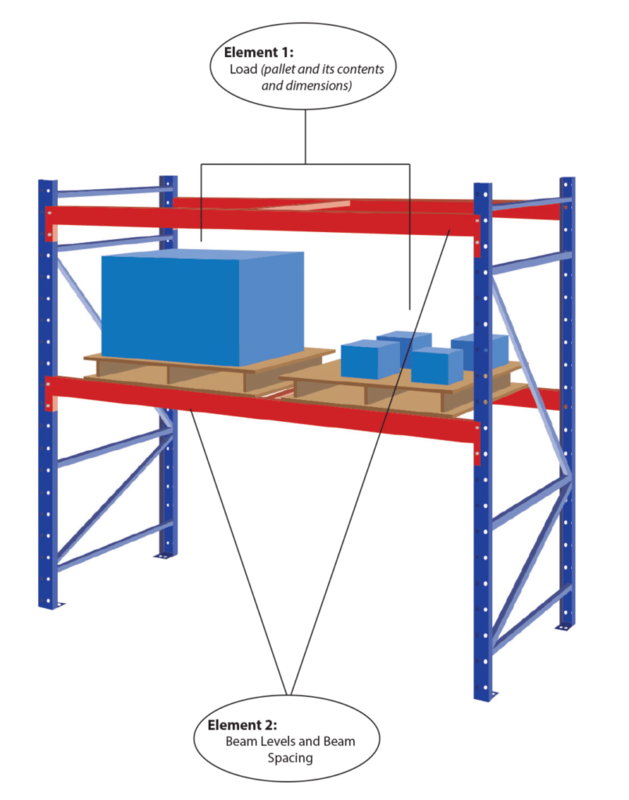 Dynamic racking systems allow products to move via gravity to the pick face, resulting in higher storage density, easier restocking and less travel times. There are a number of warehouse storage solutions out there, and while a couple of these may ‘work’ for your operation, there’s likely one that is the most beneficial. Identifying and utilizing the ideal solution will ensure optimized density and selectivity, increasing efficiency and ultimately profits. If you’re currently researching options for an industrial cooler or industrial freezer for your warehouse, consider a rack supported cooler or freezer for a higher storage density solution that will save money and construction time. 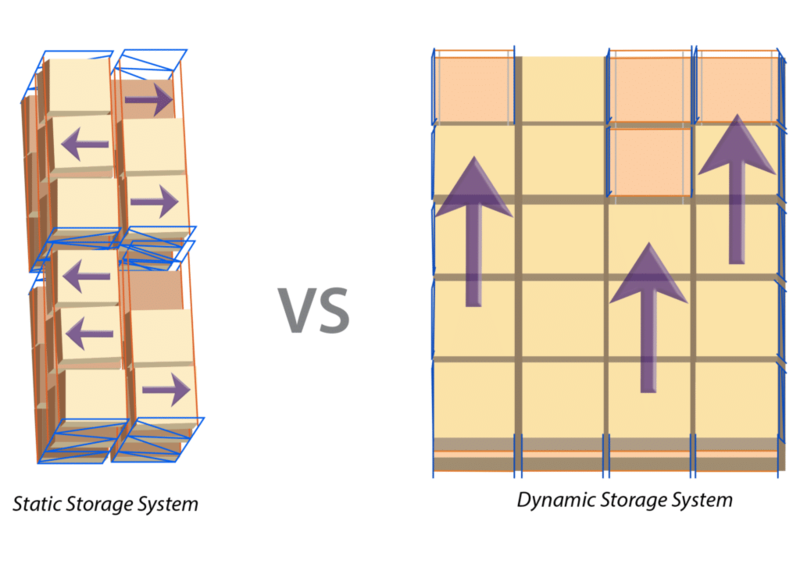 Is Structural or Roll Formed Ideal For a Cold Storage Racking System? Coolers and freezers present unique storage challenges. 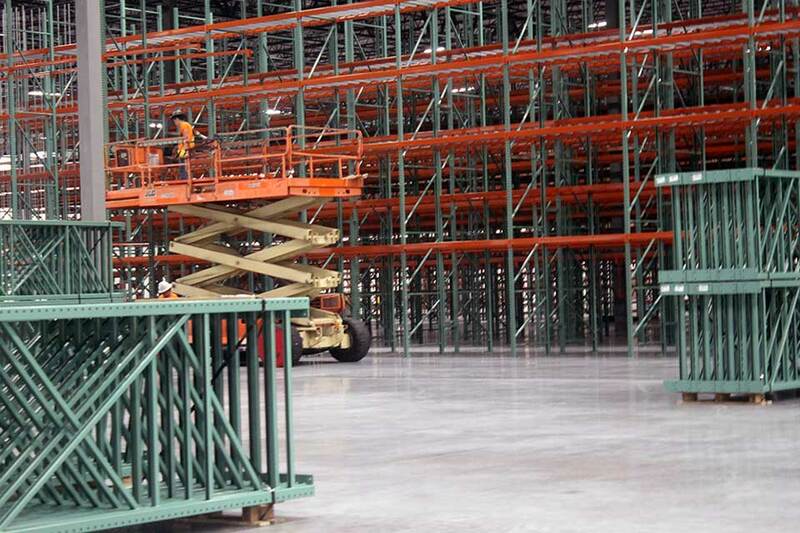 Because of the cold temperatures, using the right type of racking can make or break your operation (literally). 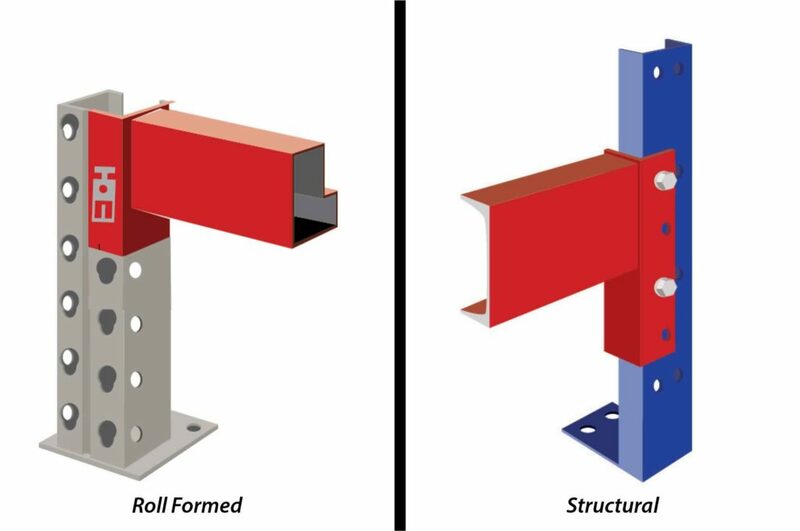 It’s important to understand the differences of roll formed and structural steel and which is advisable to use for your cold storage racking system. 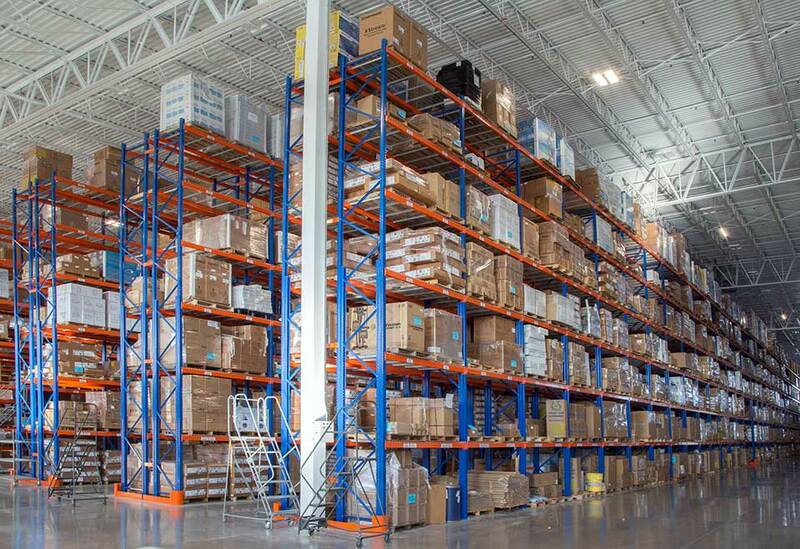 Pallet rack capacity is a crucial factor to the safety of your warehouse. It is important to ensure that both the racking frames and beams are designed to hold the required weight to avoid a possible collapse. When calculating the capacity, there are several elements to take into consideration.